Brisbane-based mining software company Commit Works has opened new offices in the mining and innovation hub of Sudbury in Ontario, Canada, as part of its expansion into North America. 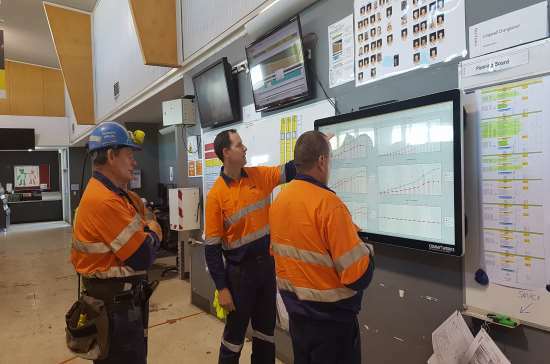 The fast-growing technology company has already established itself at mining operations in Australia, Canada and Africa via its integrated frontline planning and Short Interval Control (SIC) systems. Commit Works’ new offices are located within the growing mining technology and innovation hub of Sudbury, which contains more than a dozen mines within a 250 km radius. Sudbury is also less than four hours from Toronto, home to some the world’s largest mining companies. “We’re excited to share our journey with some of the brightest minds in technology and mining, and we welcome the opportunity to develop the economy in the area by working with the local community,” said CEO Paul Moynagh. Commit Works has also made two new appointments to bolster its team in the North America region. Joseph Gladu is the company’s new vice president for North America and Derek Polano steps into the role of adoption and results manager. “We’re thrilled to be taking our products to North American clients, and I’m pleased to have Joe and Derek on board to drive that expansion,” Moynagh added.